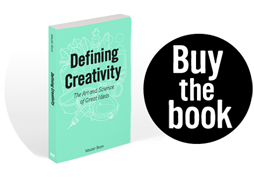 Defining Creativity | Book Launch! 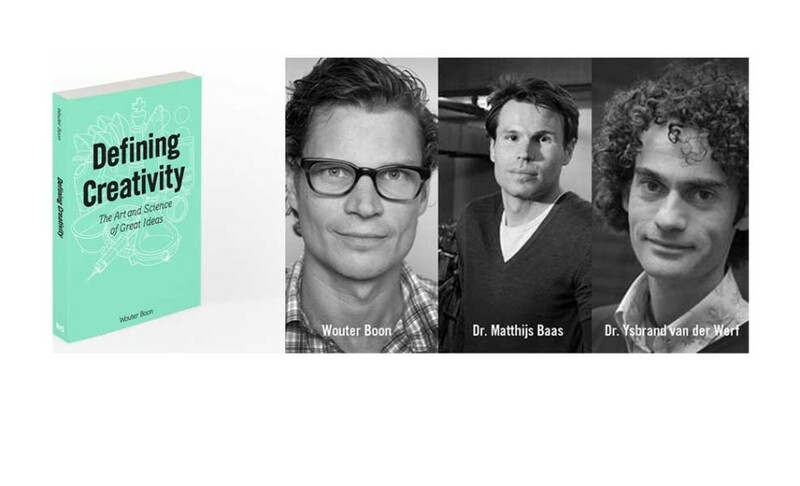 I am proud to invite you to the launch of my book Defining Creativity, which takes place at Pakhuis de Zwijger on 13 March, from 5pm till 6.30pm. After 6.30 there is an opportunity to buy a signed copy of the book (at the launch it will cost €15 instead of €17), have a drink, and mingle. If you are planning to attend, please let me know. During the launch two scientists, who specialise in creativity, and myself will be giving a lecture about creativity. Psychologist Dr. Matthijs Baas (University of Amsterdam, Organizational Psychology), who researches the cognitive and neural processes underlying creativity, will talk about how mood states influence creativity. Neuroscientist Dr. Ysbrand van der Werf (VU University medical center’ en ‘Netherlands Institute for Neuroscience), who researches sleep, memory and cognitive processes in the brain, will describe the role and importance of sleep in the creative process. Finally, I will share the analogies between the theory in my book and the process of writing it. Among other things, I will speak about the knowledge I needed to adopt to write the book; the different personality traits that helped in the process; and how most of it was hard work.